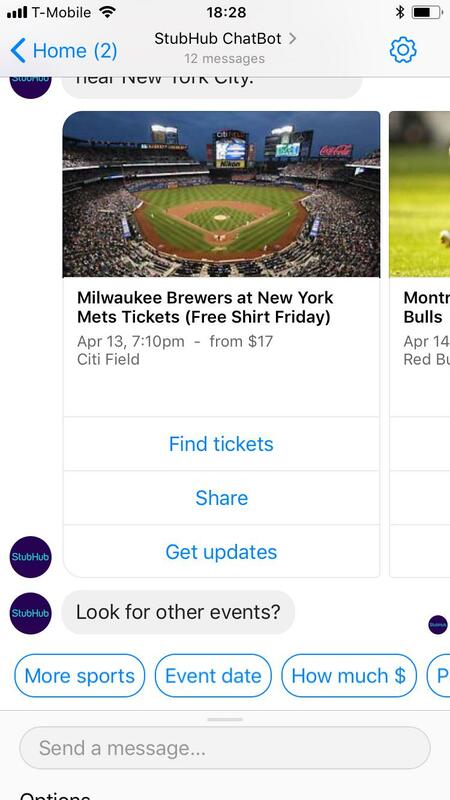 StubHub’s bots have seen 90,000 people start conversations, exchanging over 320,000 messages in total. Understands natural language. For example, "Alexa, ask StubHub what is happening this weekend?"